While there are not very many military bases in Colorado, the state is home to almost 50,000 active duty and reserve members. The biggest military base in the state is Fort Carson, located in El Paso County. The U.S. Air Force has several locations in Colorado including Buckley, Peterson and Schriever Air Force Bases. In total the Air Force has over 8,500 active duty members and 4,500 reserve members. Fort Carson is the only Army base in Colorado. It currently serves as the home for over 25,000 soldiers accounting for about half of the military presence in Colorado. About an hour South of Denver, Fort Carson is easy to get to from the Denver Airport. Colorado is a popular place to be stationed due to the beautiful landscape, close proximity to downtown Denver and active Army presence. 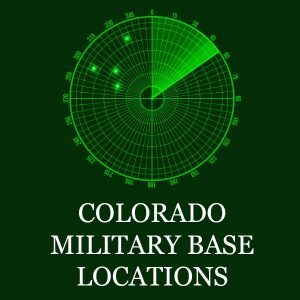 While the majority of active duty military members serve at Fort Carson, there are also several Air Force Bases in Colorado.